Hades | Learn about Greek Mythology,Greek gods,Greek mythology stories! 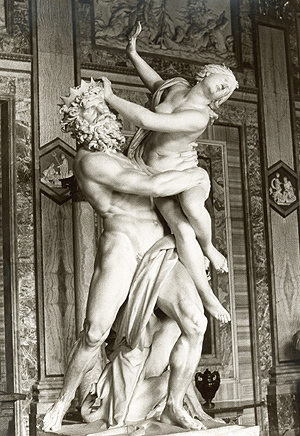 In Greek mythology, Hades, god of the underworld, was son of the Titans Cronus and Rhea. He had three older sisters, Hestia, Demeter, and Hera, as well as two younger brothers, Poseidon and Zeus. 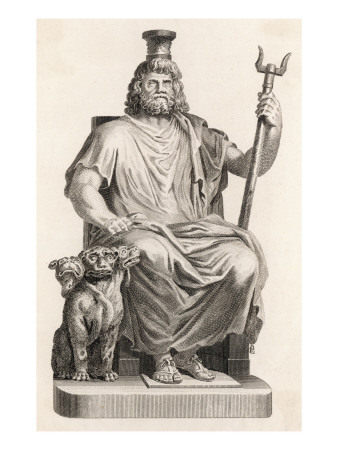 After his birth his father Cronus "swallowed" him and his brothers in an allegorical performance superiority followed then "Saturnian religion" that everything is shaded destruction time-Cronus. The just grown up Zeus, who was rescued from the infanticide tactics of his father, managed to force him to release his siblings. After their release the six younger gods, along with allies they managed to gather, claimed by their parents and uncles the power, causing Titanomachy. The three brothers have received from the Cyclopes weapons that will help them in the battle between the gods. Zeus had given the thunderbolt, Poseidon a trident and Hades a helmet that made anyone who wore it invisible. 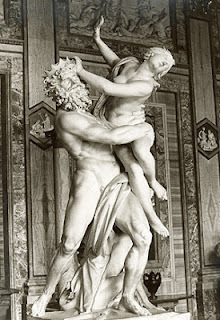 Hades took as his wife, Persephone, through trickery, a story that connected the ancient Eleusinian Mysteries with the Olympian pantheon, an early allegorical presence - connecting life and death. Hades ruled the dead, assisted by demons over whom he had absolute power. Strictly forbid his subjects to leave his domain and become angry if anyone tried to escape (to come back to life), or if someone was trying to remove that belonged to him. "Do not speak soothingly to me about death, glorious Odysseus. I would rather choose to serve as the hireling of another, rather than lord over the dead that were lost." There were many areas of Hades, including the Elysian Fields and Tartarus. In Roman mythology, an entrance to the underworld was in Avernous, a crater near Cumae in Campania was the road that Aeneas used to descend to the underworld. Connotations, the word may have been Avernous substitute whole importance underworld. The Inferi Dii were the Roman gods of the underworld. The dead people entered the underworld by crossing the Acheron River,on the boat of Charon, who charged a donation for passage,which was placed under the tongue of the dead by pious relatives. The poor men and the friendless gathered forever on the bank of the river. The other side was guarded by Cerberus, the three headed dog defeated by Heracles. Beyond Cerberus, the shades of the departed entered Tartarus, the land of the dead. The five rivers of Hades are Acheron (o river of sorrow), Cocytus (o river of lamentation) Flegethon (o river has fiery flames), Oblivion (o river of forgetfulness) and Styx (o river of hate). The first area of Hades includes Fields of Asphodel,as described in Odyssey, where the shades of heroes that wander desperately among lesser spirits, who twitter around them like bats. Besides there was the Erebus, which can be regarded as a euphemism of Hades, the name of which caused dread. There were two pools, that of Lethe, where the common souls flocked to erase all memory, and the source of Mnemosyne, where instead were drinking the initiates of the Mysteries. Outside the baleful palace of Hades and Persephone were sitting the three judges of the Underworld: Minos, Rhadamanthus and Aeacus. There, place shrine dedicated to Hecate, where the three roads meets, souls are judged and returned to the Fields of Asphodel if they are neither virtuous nor evil, sent to Tartarus if they are impious or evil, or driven to the Elysian Fields to acompany the heroic and the blessed. Hades was a fearsome figure to the living. Not in hurry to meet him, they were reticent to swear oaths in his name. For many, simply to say the word Hades was frightening. This is why there has been used an euphemism. Since precious minerals come from under the earth (ie the underworld governed by Hades )was considered that ruled over these, too, and was referred to as Pluto (Pluto, relative of the word "wealth"), and hence the Roman name Pluto. Sophocles explained referring to Hades as the "rich one" with these words: "the overbearing Pluto enriches himself with our sighs and our tears." In addition, they called him Clymene, Evvoulefs and Polydegmon. Although he was an Olympian, he spent most of his time in his dark realm. Formidable in battle, he proved his ferocity in the famous Clash of the Titans, the battle of the Olympians versus the Titans, which established the rule of Zeus. Because of his dark and morbid personality he was not especially liked by either the gods nor the mortals. His character is described as "savage and ruthless" and by all the gods were by far the most hated by mortals. However, it was not bad god, for although he was stern, ruthless and without grace, but he was just. Hades ruled the Underworld and therefore most often associated with death and was feared by men, but he was not death itself. The actual embodiment of Death was Thanatos. black sacrificial animals were offered to him, as to the dead themselves. Black animals, such as sheep, were sacrificed in his honor. The blood from sacrifices to Hades dripped into a pit to reach him. The person who offered the sacrifice had to turn his head. Every one hundred years festivals were held in his honor. Pluto's weapon was a fork, which shatter everything that was in his way or what was not to his liking, much as Poseidon did with his trident. One of the objects that he possessed and identified him was a famous helmet, given to him by the Cyclopes, which made ​​anyone who wore it invisible. It is known that Pluto sometimes loaned his helmet to gods and men (such as Perseus). His dark chariot, drawn by four black horses, always a fearsome and impressive sight. Also Pluto attributes were the Narcissus and Cypress plants, the Key of Hades and Cerberus, the three-headed dog.